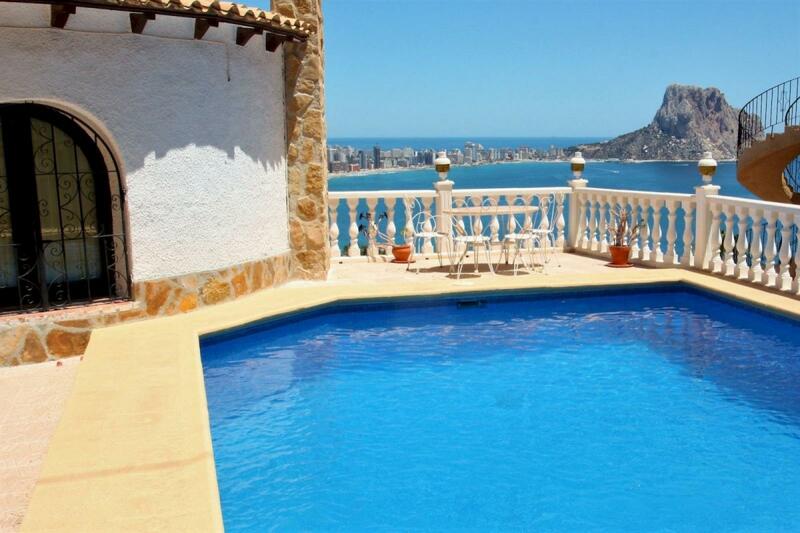 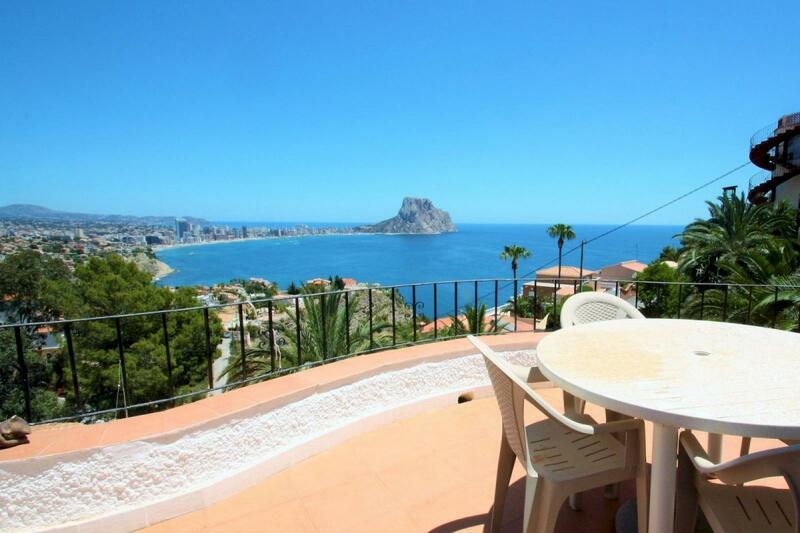 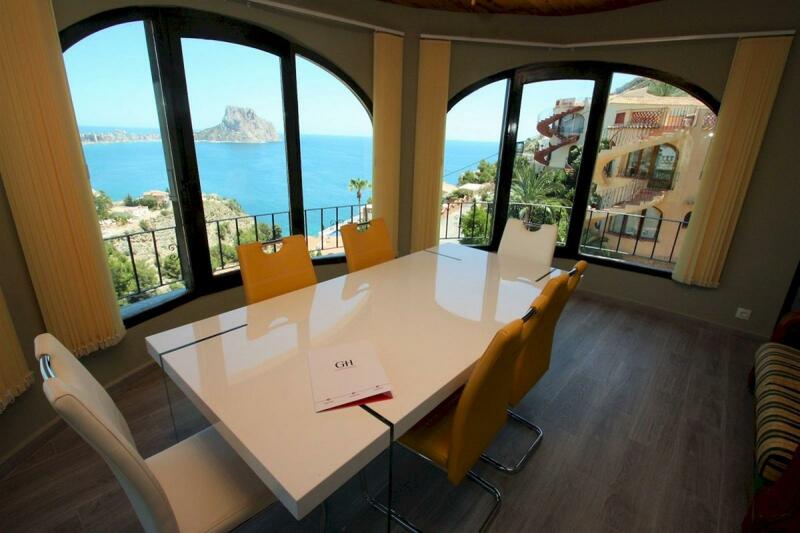 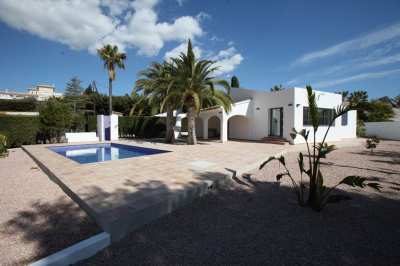 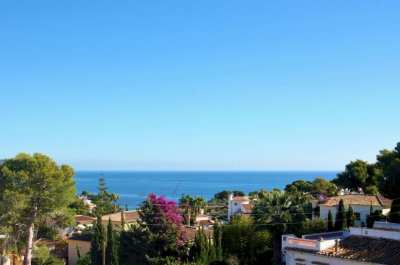 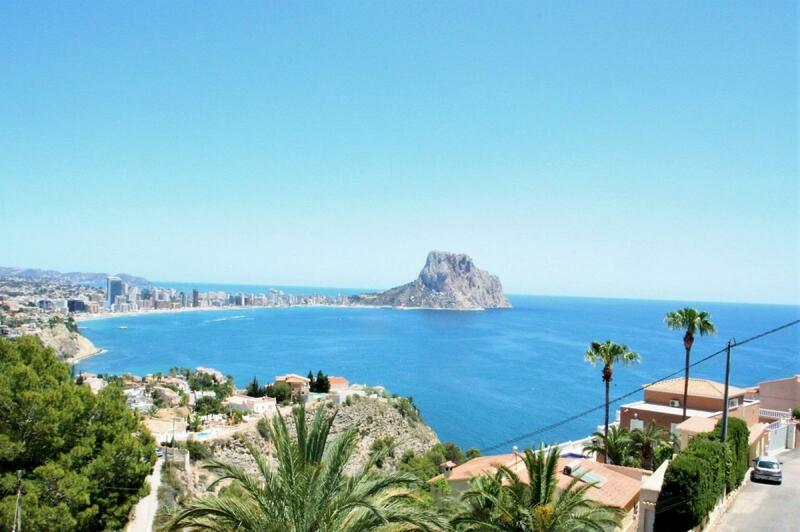 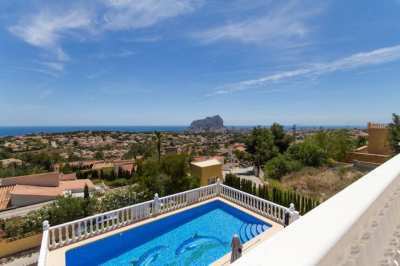 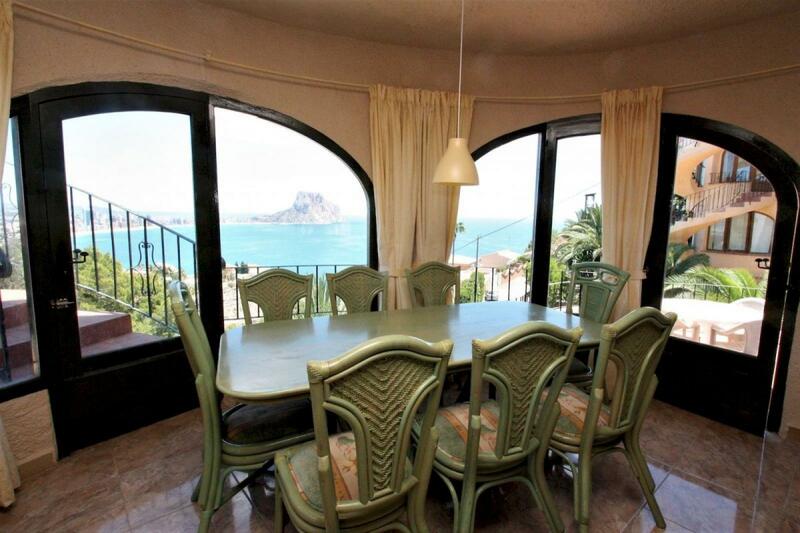 Villa with incredible panoramic views to the sea and the Peñon de Ifach in Calpe. 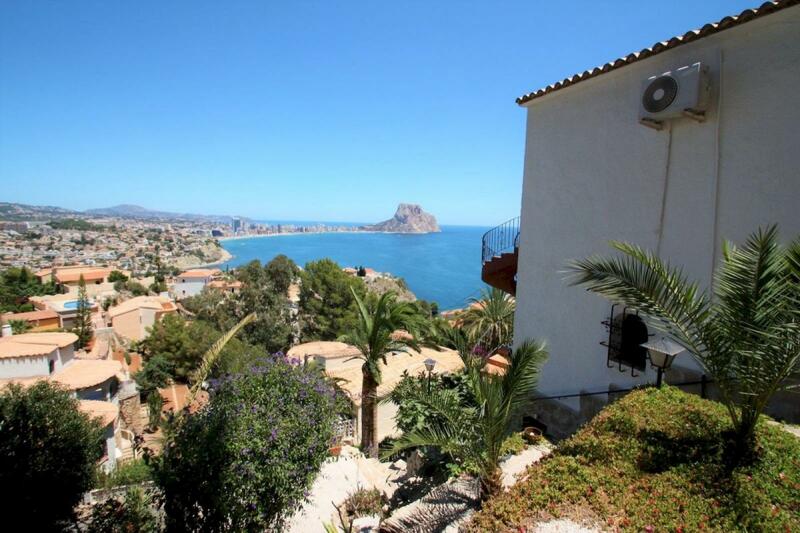 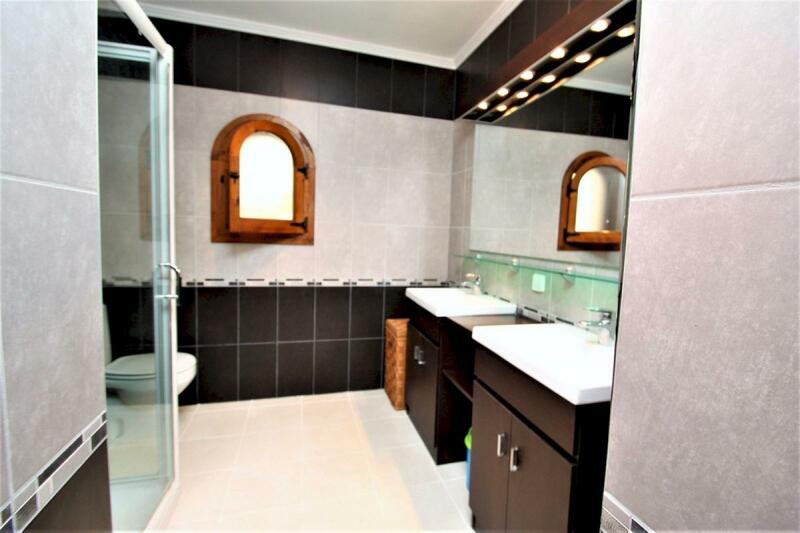 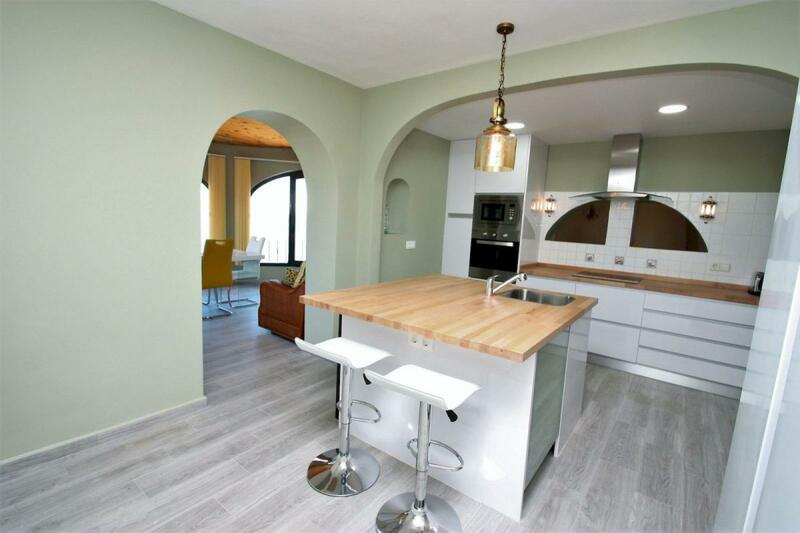 Nice Mediterranean villa, completely renovated in 2018 with 2 Guest Apartments and incredible panoramic Sea Views, and over the whole coast and at the Peñón de Ifach of Calpe. 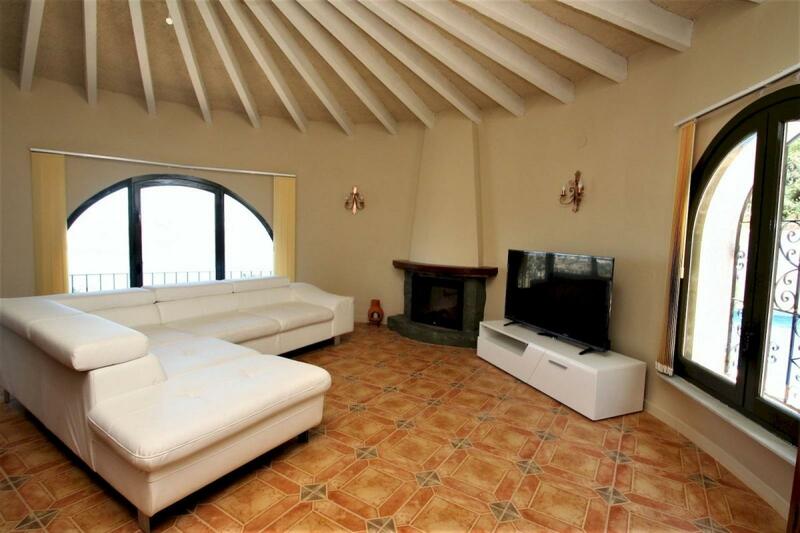 The villa is distributed as follows: The principal floor on the same level as the swimming pool consists of a living room and a separate dining-room with sea views, the big kitchen with an island (new house-hold appliances), 2 bedrooms and two bathrooms with showers. 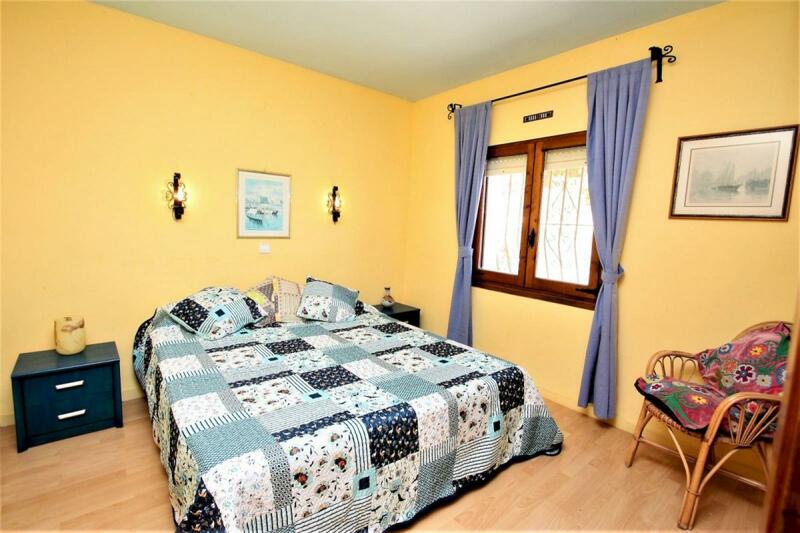 The other two floors contain 2 guest apartments. 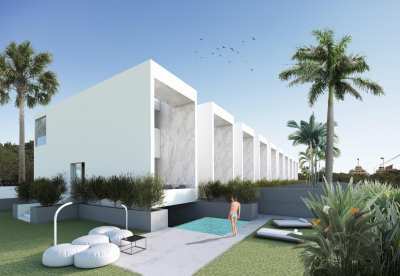 Each with one big bedroom, a bathroom, living-and dining area and one with open kitchen and the other with independent smaller one. 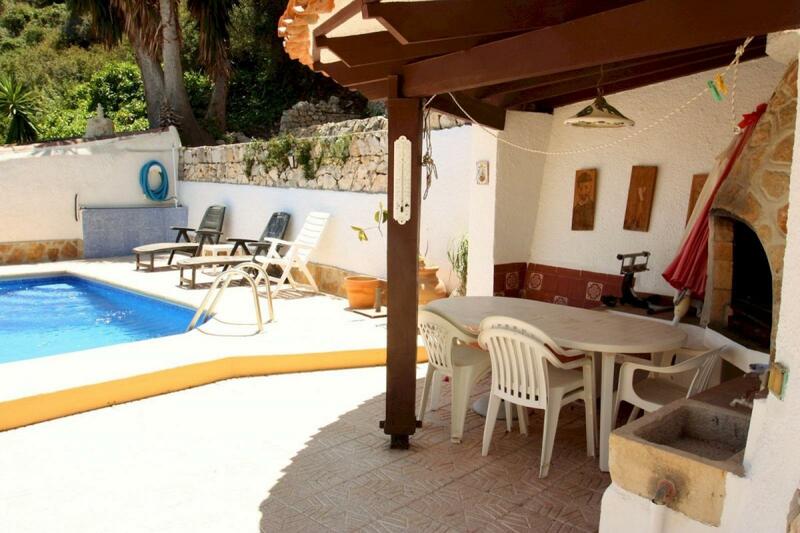 Outside you can enjoy the terrace with private swimming pool of 9x5 m, the barbecue area and in the middle-apartment the terrace with beautiful open panoramic sea views. 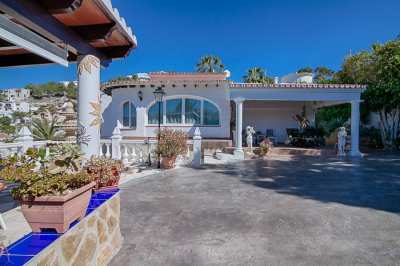 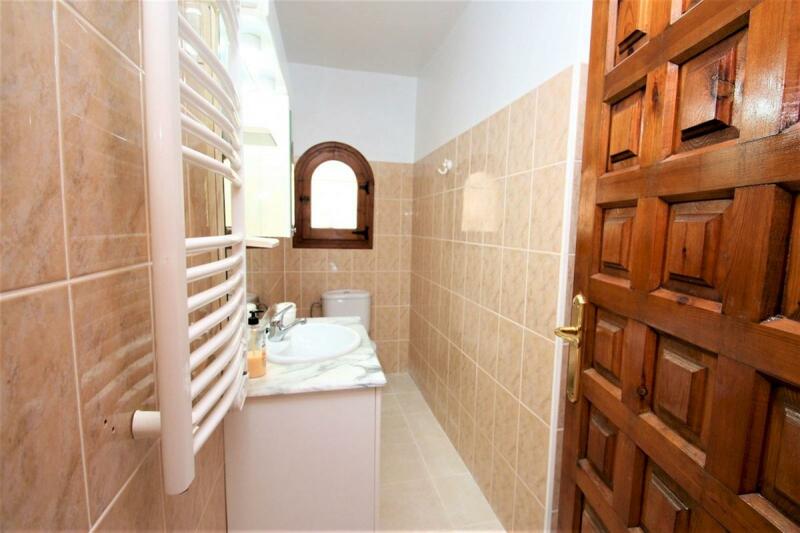 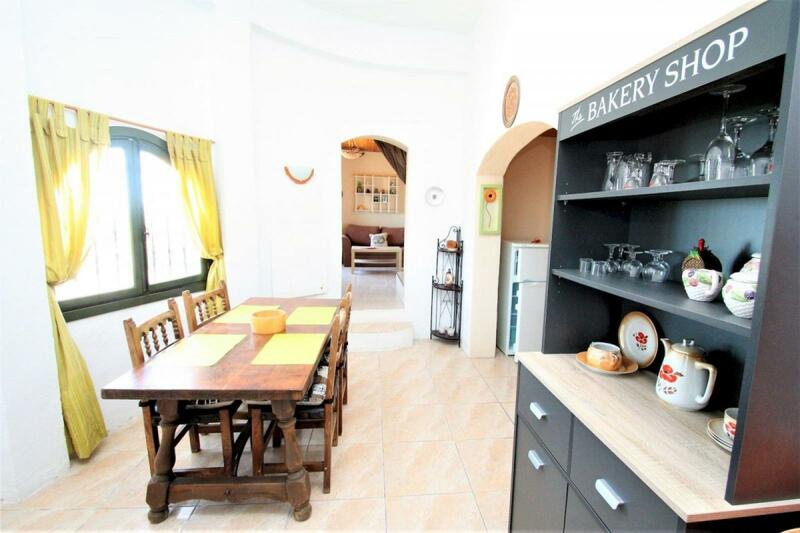 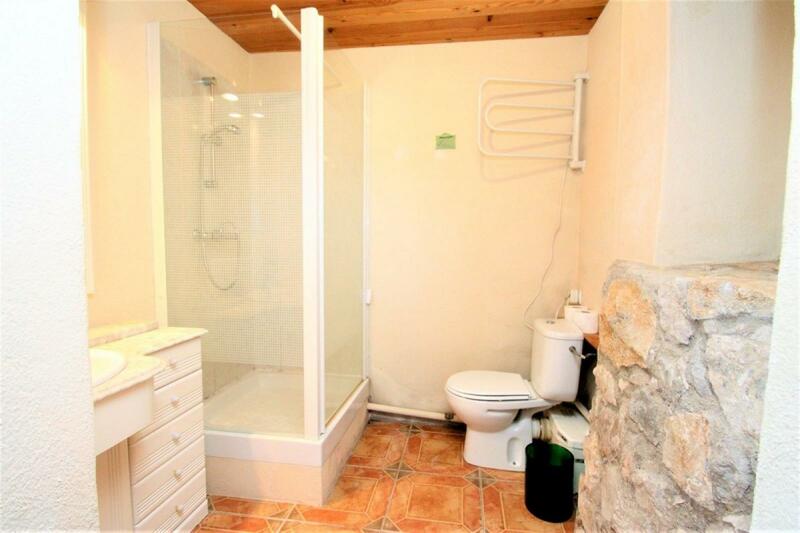 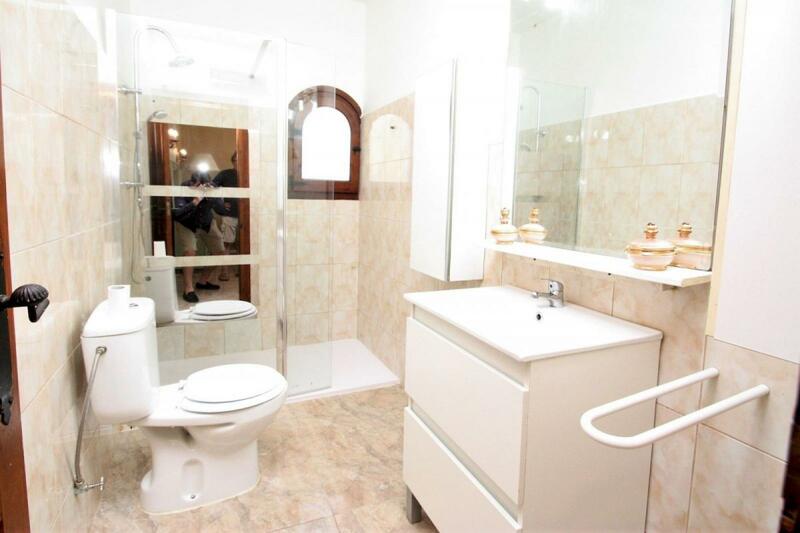 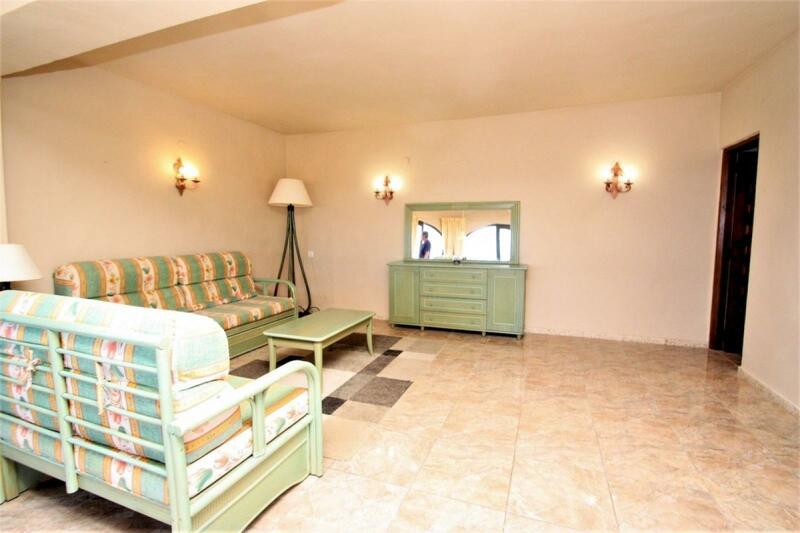 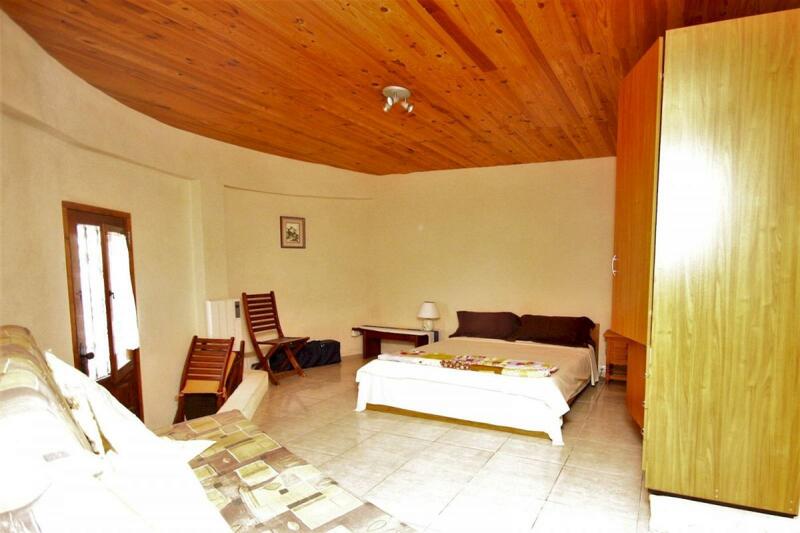 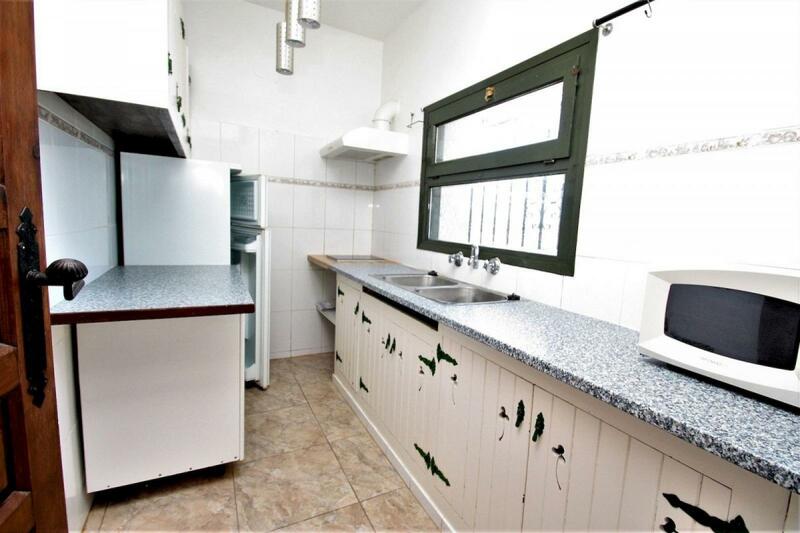 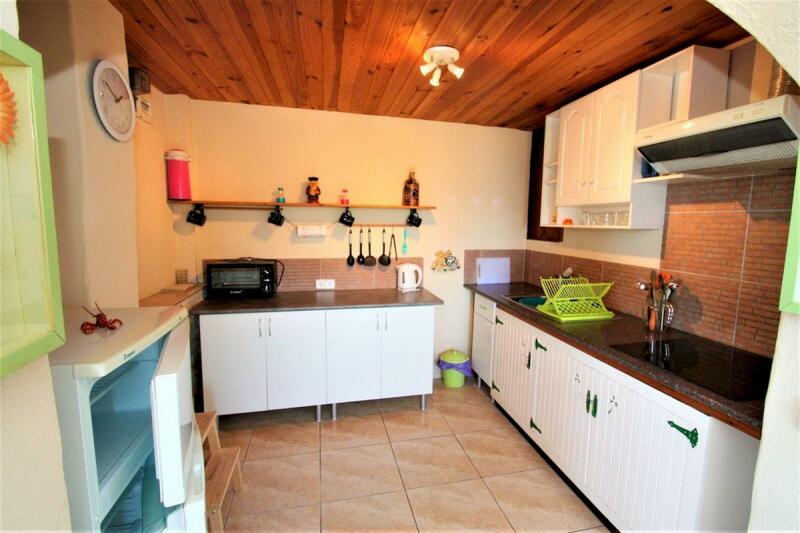 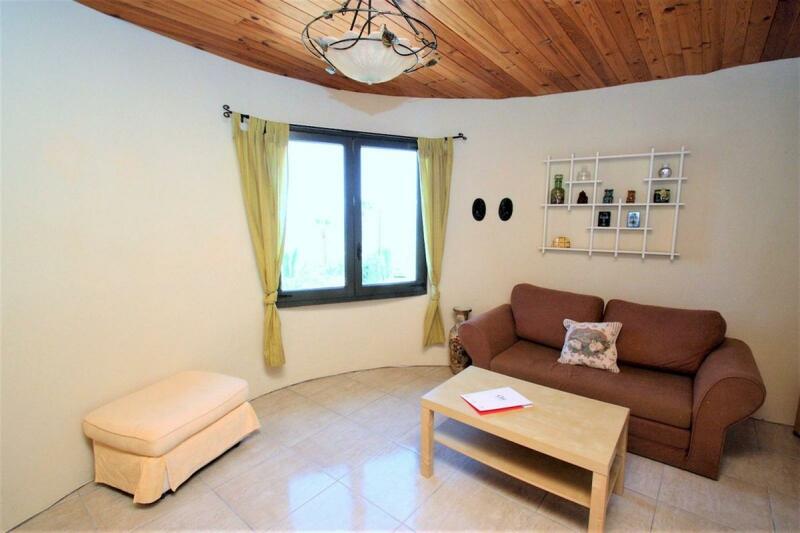 Moreover, it includes also a garage and a big laundry/storage room and as equipment the villa counts with air condition and electrical heating. 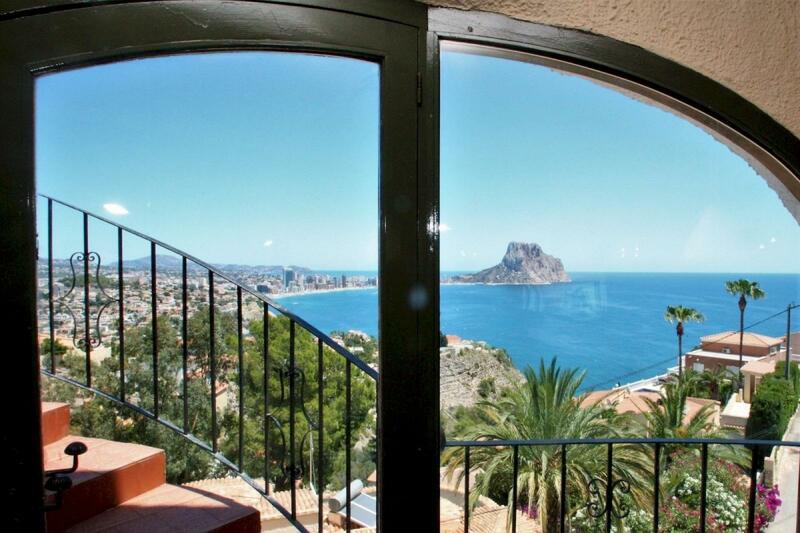 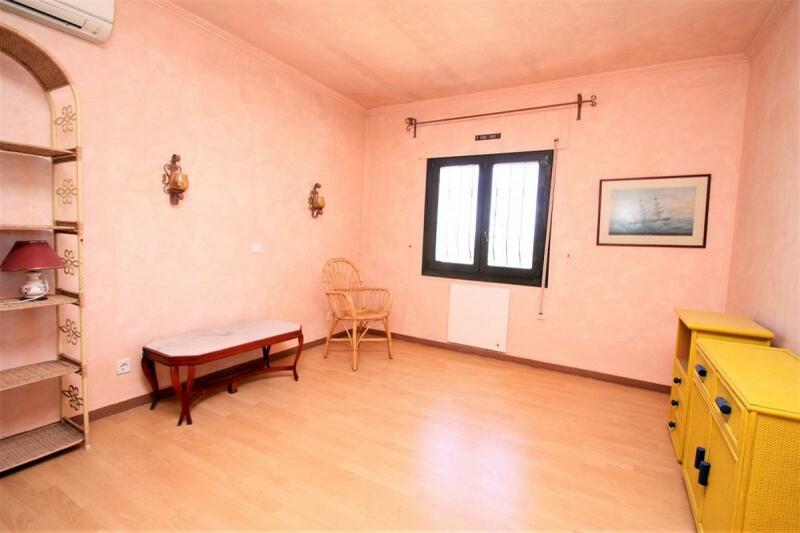 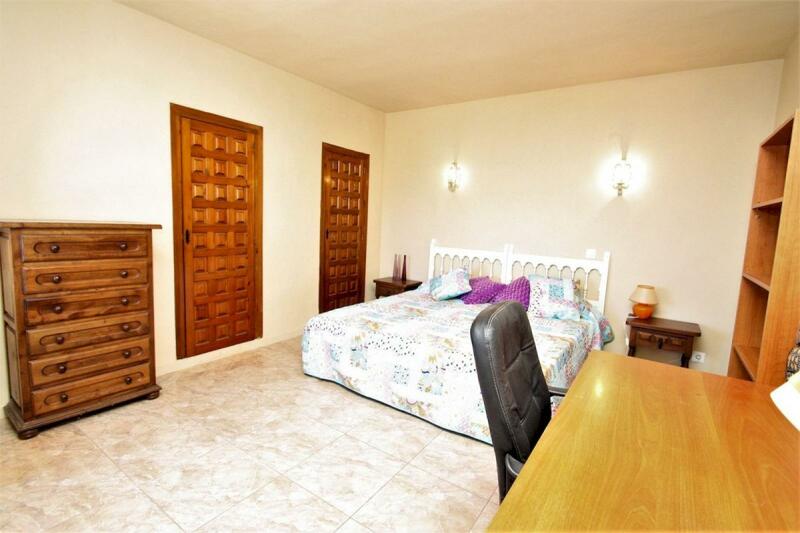 It is possible to install a lift.The perfect property to enjoy life at the Costa Blanca.